This article is a simple guide on how to set up the bridge and connect Facebook Lead Ads to GetResponse. Click the "Save" button and your GetResponse integration is set! The API URL field is usually the default value: ( OPEN LINK) or leave it blank. The most current and stable version of GetResponse API is 3.0. 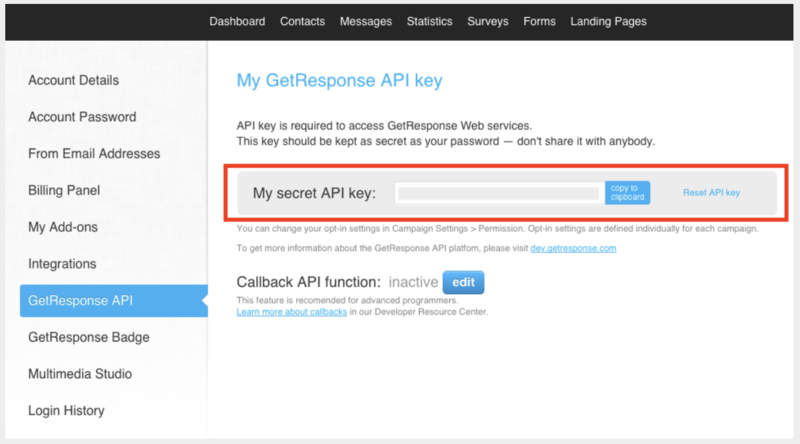 If you're just starting with GetResponse API please use this version. You'll see a field name with the destination integration's logo at the top, this indicates the name of the field on GetResponse. If you have any other questions, or need help to configure your bridge from Facebook Lead Ads to GetResponse with LeadsBridge, do not hesitate to contact our Support!